NO-CDD!!! !Beautiful four bedroom / 2.5 bath home in gated Moss Landing Community, well cared for and maintained. Sellers have made several upgrades in the home including ceramic tile flooring throughout the entire first floor, laminate flooring on the upper level, new air conditioning unit, washer and dryer. Downstairs features an open concept, perfect for entertaining, with a kitchen and bar area, living room, dining room and nook. The nook is the perfect spot to lounge and enjoy the view of the huge backyard. While the living room provides ample sitting room for family and friends. Upstairs, you will find four spacious bedrooms and two bathrooms. The large master suite offers a HUGE walk in closet and bathroom with garden tub and separate shower the perfect oasis for some private, relaxing time. This home sits on a premium lot, backing to a conservation wetland and pond, and is perfect for a growing family - offering plenty of space, and privacy for guests. 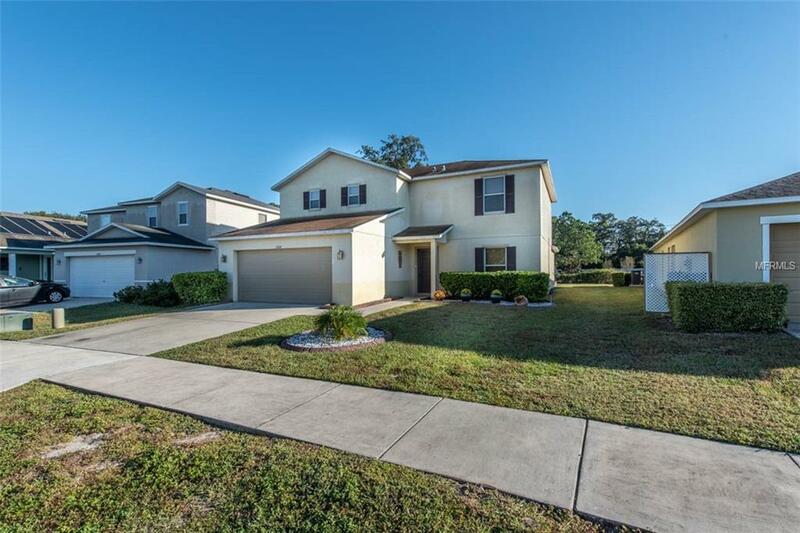 It is in an IDEAL location, close to great schools, new movie theatres, shopping, and convenient to the Crosstown Expressway, I-75, MacDill AFB or Downtown Tampa.